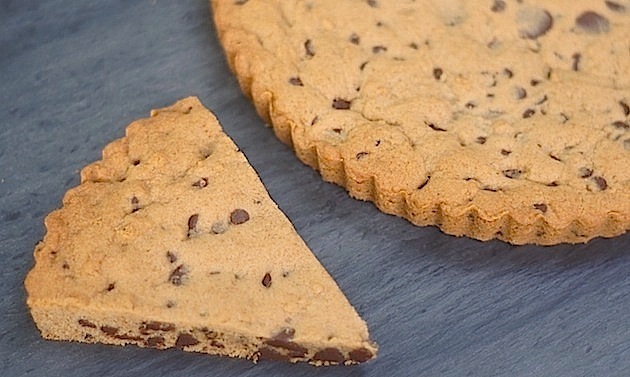 do you ever get a hankerin’ for freshly-baked chocolate chip cookies but don’t feel like making the dough, rolling it into individual cookies, etc.? if so, fear not, because i have the perfect recipe for you! 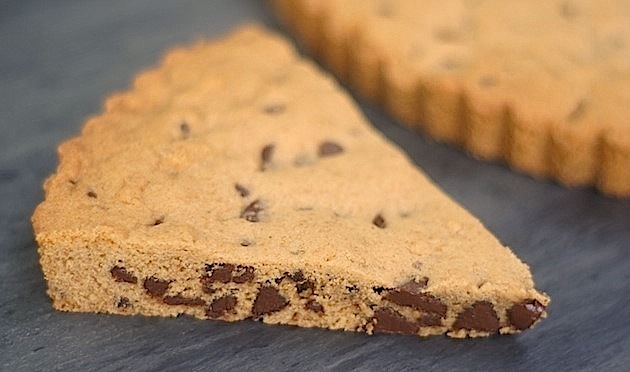 this chocolate chip cookie cake is essentially one giant chocolate chip cookie that you can cut into slices. it’s much quicker to make than individual cookies, + just as delicious. if anything, it might be more delicious, as it keeps a slightly softer, more ooey-gooey texture than individual cookies. oh, + an added bonus? the blog that i got the recipe from, chocolate + carrots, adapted the original recipe to work in some whole wheat flour for added healthiness. while i’m certainly not going to call this diet food, the whole wheat flour definitely adds a healthy note. i happily treated myself to a small slice after dinner for a bunch of nights in the row, guiltlessly getting my chocolate/sweets fix. a decadent-tasting, chocolatey dessert that you can still feel good about eating? win! beat the butter + sugar together. next, beat in the egg + vanilla. in a separate bowl, mix the flours, baking soda, cream of tartar, + salt. add dry ingredients to the batter + mix until well-combined. stir in the chocolate chips. spread dough into a 9-inch round tart pan + has been coated with canola oil spray. bake for 20 minutes, or until light golden brown. Hope you’ve been well while I’ve been away from the blogging world Amy!